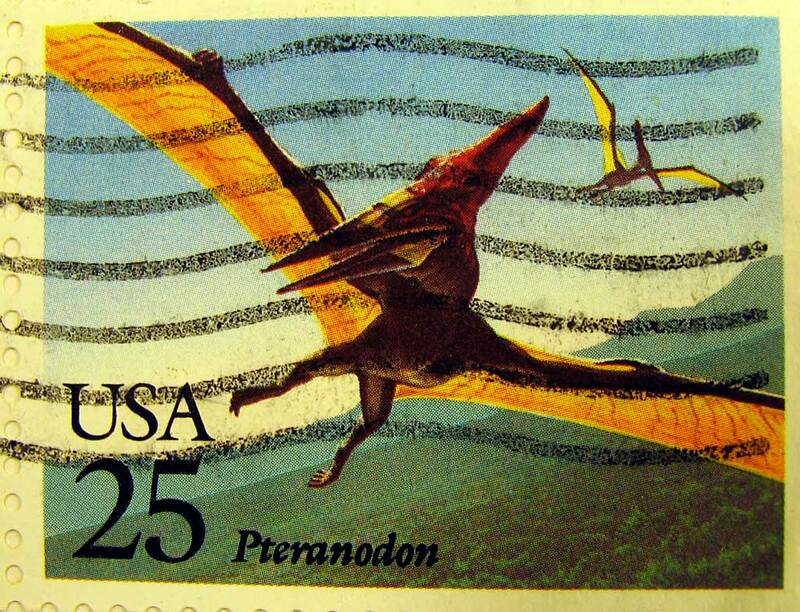 Here are two cancelled U.S. postage stamps from 1989 depicting the flying reptile Pteranodon. 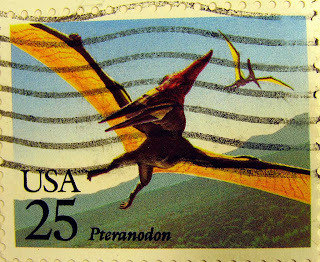 This stamp was part of four set with the other three featuring dinosaurs. 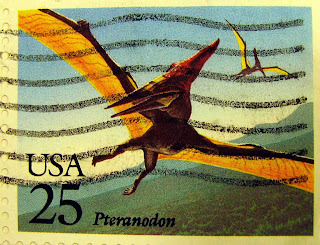 The Pteranodon roamed the skies of the Late Cretaceous period with its range extending over the states Alabama, Kansas, Nebraska, South Dakota, and Wyoming. 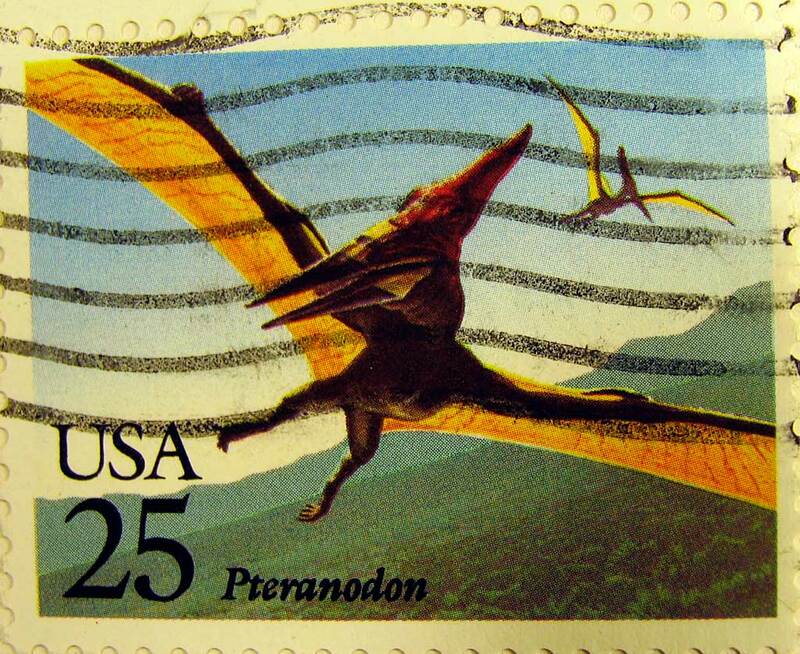 Earlier posts show the Tyrannosaurus stamp: HERE and Stegosaurus stamp HERE.